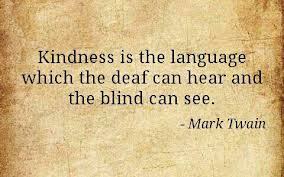 With that in mind, via various social media, I’ve been posting with the hashtag #ActsOfKindness. If you, like me, agree that our Big Blue Marble could use just a little more courtesy, a little more kindness, please be free to use and/or post using #ActsOfKindness. This entry was posted in New and tagged #ActsOfKindness, Big Blue Marble, compassion, connectedness, conversations, courtesy, gratitude, Jessan Dunn Otis, kindness, peace, Please, Rhode Island, Thank you, world, writer, writers, writing on August 25, 2014 by Jessan Dunn Otis | Writer. Good advice Jesson and something I always do. I always smile at people, open doors for others and when crossing the street if a driver stops to let me cross I always smile, wave and mouth the words thank you. One thing I love to do when out shopping and you get the assistant who looks like they have had a hard is to make sure to smile and say please and thank you. And if they offer any help thank them and say how kind they are. There is nothing better then walking away knowing they now have a smile and that someone appreciated what they did. Smiles. One of the greatest gifts you can give. Costs nothing but is worth a fortune. Simple acts of kindness, Peter – quite so. As my Mom and Dad said, “please” and “thank you” are the “magic words”.